Everything in nature consist of atoms. Radioactive atoms are unstable because their nuclei have a lot of energy. During attenuation to more stable forms they emit radiation (alpha particles, beta and gamma rays) which is called ionizing because it ejects the electrons from other atoms forming ions. Ionization activates the production of free radicals in the human body cells and may cause changes in the structure of the chromosomes of the cell membrane (mechanisms associated with cancer development). Elevated levels of radiation can cause nausea, vomiting, burns, hair loss, infertility, impairment of the immune system and an increased incidence of certain types of cancer death. Especially for radioactive radon gas, which is the main source of population exposure to radiation, the World Health Organization  states that it is, after smoking, the second most important cause of lung cancer (the most common cause of cancer death ). Where do we receive radioactivity from? Recent statistics from Germany show that due to the frequent mammograms, CT scans and similar medical procedures, the total amount of radiation we receive from artificial sources is now equivalent to that from natural sources . Where do we often record elevated radioactivity levels? In food with radioactive residues (eg vegetables, milk, meat and fish from the affected areas of radioactivity in Japan and neighboring regions - anything produced after March 12, 2011). In watches that glow, pottery, ionization fire detectors etc. Near nuclear power plants and reactors, especially after a nuclear accident (for which the public may be informed too late, as was the case in the 1986 accident of Chernobyl). In waste of industries, hospitals (nuclear medicine applications), etc. In plants for cements, aluminum and phosphate fertilizers, oil drilling, power plants burning lignite, etc. How real is the risk of a nuclear accident today? Nuclear accidents are not uncommon. In many cases of nuclear leaks and accidents, such as Chernobyl, the public is informed too late, resulting in not enough time to take precautions. With a radioactivity meter can you see first every increase of radiation levels in your area! Today there are more than 438 nuclear power plants worldwide with many others under construction. You can check the nuclear facilities of each country here. All countries using nuclear power argue that there is no risk but as Japanese specialist in nuclears Hiroshe Takashi says, if the reactors were so secure, they would not be built in remote areas, but in urban centers to avoid energy losses from transmission cables . What factors are related to the effects of ionizing radiation? Alpha particles: particularly dangerous when ingested through eating or inhalation through the air (radon). They can easily be shielded even with a piece of paper. Beta particles (or electron radiation): dangerous especially when ingested through eating or inhalation through the air. They can be shielded with a metal foil (e.g. aluminum). Gamma rays: electromagnetic radiation emitted during radioactive decay (along with alpha and beta radiation) - they have high penetration and can travel several meters in the air. They can be shielded with thick cement, lead, steel etc. They are a big part of terrestrial radiation and, along with radon gas concentrations, they are the most important for building biology assessments. X rays: very high frequency electromagnetic radiation generated when a strong electron beam bombards a metal inside a glass tube, which is generated mainly by artificial sources in medical diagnostics etc - they have high penetration and can travel several meters in the air. They can be shielded with thick cement, lead, steel etc. Cosmic radiation: Mainly gamma rays but also neutrons, can be found especially several hundred meters above sea level. Scientists often do not distinguish between the external dose of radiation than we receive internally when we inhale or consume a radioactive material. This is misleading since, as mentioned by the former secretary of the European Commission on Risk from Radiation is like comparing beeing warm next to the fire with swallowing hot coals! . A characteristic of many radioactive materials is the long half-life ie the time required for a radioactive element to lose 50% of its energy. These materials remain radioactive million years. However, radioactive elements with long half-life (eg 700 million years uranium-235) have very slow decay rate subjecting us to negligible radioactivity compared to that obtained from nature or our own body (eg . Our potassium-40 in the body has a half life of 1.4 billion years). Unlike radioactive elements with much shorter half-lives (usually released into the atmosphere from nuclear accidents), emit more radiation in a shorter period and affect more the cells of specific organs. For example, radioactive iodine-131 (8 days half-life) is accumulated mainly in the thyroid and prolonged consumption can cause thyroid malfunction and / or cancer. Respectively, cesium-137 radioactive element (which accumulates in muscles and fat) and strontium-90 (which accumulates in bones) have about 30 years half-life and when consumed they significantly affect our cells for decades (strontium -97 is associated with leukemia). The most common unit of measurement of radioactivity is the effective dose Sievert (Sv-Sivert) depending on the type of radiation (a, b, c, X, etc.) and the amount of radation absorbed ny the human body. Other radiation dose unit used is the rem (PEM) where 1 rem = 0,01 Sv. In many, more reliable size of the effective dose for health effects prediction is the rate of effective dose usually measured in measured in mSv / h (micro sivert per hour). High radiation dose values retained for longer are obviously more dangerous for humans. Typical examples are the high levels of radiation following a nuclear accident which can be retained in an area for years. "When radiation passes through material, it causes ionization which can damage chemical structures. If the material in question is biological material (such as the cells that make up human organs and tissues) and if the damage occurs to critical chemicals within the cells (such as the DNA molecules making up the chromosomes within the cell nucleus), the cell itself can be damaged. It should be noted that the cell and the DNA are undergoing physical and chemical damage all the time (e.g. from temperature fluctuations and oxidation processes). However the cell and DNA have mechanisms to repair damage. The radiation damage will usually be repaired by these normal cell repair processes; or the cell may be sacrificed. This is of not significance if the repair is successful or if the number of cells killed is not large. However it is possible also that the DNA may be misrepaired; in the majority of cases, such mutated cells will also die. However there is a small possibility that the cell survives and the mutation in the DNA is replicated as the cell divides. This can be the start of a multi-step process that could eventually lead to formation of a cancer. These various possible effects at the molecular, cellular and tissue level influence the overall outcome of a person exposed to radiation. The severity of any immediate effect will depend on the total amount of exposure to radiation within a given period of time-termed the radiation dose. If a person is exposed to very high levels of radiation for a significant period of time and the accumulated dose is high, a large number of cells can be killed. This represents serious injury to the exposed person (e.g. skin burns, hair loss, sterility, damage to the blood-producing systems and the immune system). Depending on the dose, the exposed person can recover from the injuries, particularly if good medical treatment is made available quickly. But at very high doses, recovery is not possible, leading to death over days or weeks. At lower doses of radiation, below the levels associated with early onset of injury and death due to cell-killing, an exposed population may show an increased incidence of certain types of cancer, years to decades later, compared with populations that were not exposed. In this respect ionizing radiation is a carcinogen similar to cigarette smoke and the incidence of cancer in a population increases with the radiation dose received. In scientific studies on animals, hereditary effects have been observed, but this has never been observed in human populations, though we can assume that it probably does occur in humans to a small degree." How we measure radioactivity and what are the safe levels of exposure? What happens during pregnancy? Most radioactivity meters record the rate effective dose of radioactivity, usually measured in measured in mSv / h (micro sivert per hour). Normal radioactivity values in the environment are generally <0.3 mSv / h (eg 0.13 mSv / h is world average exposure to natural sources of radiation - except radon  and values greater than 0.4 mSv / h trigger radiation alarm in Finland). The US Nuclear Regulatory Commission (NRC) identifies as high activity areas in nuclear power station or after a nuclear accident when exceeded 1,000 mSv / h .
Multiplying the dose rate with the exposure time you can calculate the total radiation dose in a specified period. Obviously, conventional medical applications (radiography, computed tomography, scintigraphy, etc.) can considerably increase the annual radiation dose received. Especially during pregnancy, some official scinetific bodies like the Greek Atomic Energy Commission (GAEC), which is the national regulatory authority in the field of radiation safety and nuclear safety, proposes to seek alternative diagnostic methods or therapies with zero or lower radiation exposure of the fetus. 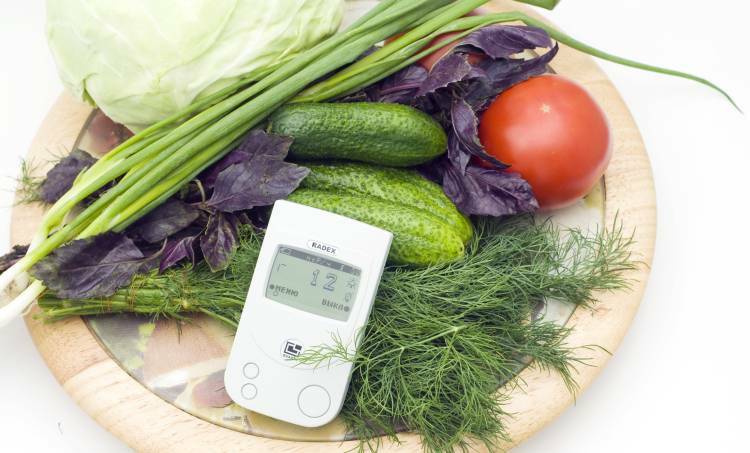 Easily measure radioactivity levels in your area with an ionizing radiation meter! What are the health effects of radioactive radon gas? Radon is a radioactive gas which comes from the decay of uranium found in the earth's crust and is still the major source of human exposure to radioactivity. Radon is released from the soil and enters buildings by pipes and cracks and especially accumulates in low floors with inadequate ventilation. 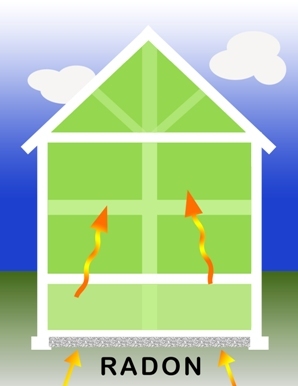 The current practice of using air-tight doors and windows, doors and other building materials for thermal insulation purposes, increases the concentration of radon in modern homes. Many areas have elevated levels due subsoil radon. Elevated radon values recorded and near high or medium voltage cables. Research at the University of Bristol showed that the presence of high levels of low-frequency radiation increases up to 18 times the accumulation of radon particles in space . 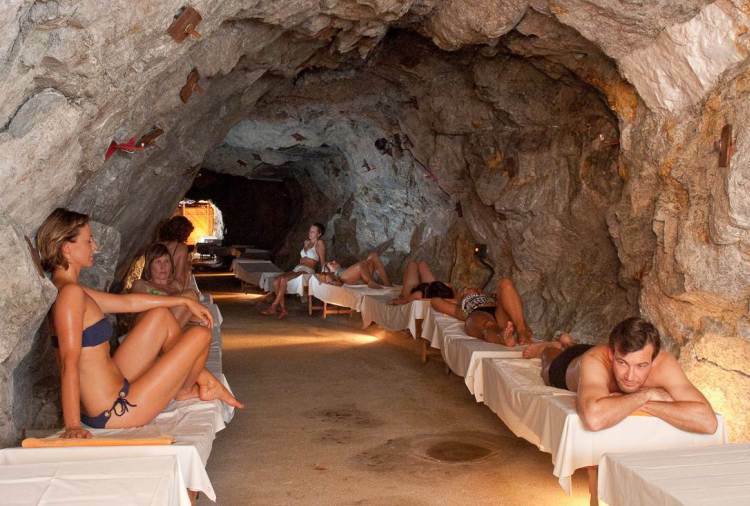 Radon is used therapeutically in dozens of spas or radon caves or thermal springs around the world, where patients are exposed to very high concentrations of radon for a limited time. However, long-term exposure to higher than normal levels, as a result of the entry of radon from cracks and pipes in homes and accumulation in long hours of use areas, is a possible damaging factor for humans. In the European Union, lung cancer is the most common cause (about 20%) of cancer death . How we measure radon, what are the safe levels of exposure and how do I reduce radon levels in my space? The measurement radioactive radon gas is made with digital radon meters or detectors or dosimeters (alpha particle meters) which record the radon concentration per cubic meter (in Bq / m3). Becquerel (Bq) is the number of radioactive disintegrations per second. Other radon measurment unit used is the pCi / lt (pico-curies per liter), where 37 Bq / m3 = 1 pCi / lt. The average radon concentration values differ from region to region and are higher indoors eg in USA the average values are 15 Bq / m3 outdoors and 50 Bq / m3 indoors . Easily measure radon levels in your area with an radon monitor! What are the health effects of nuclear accidents? Near the nuclear accident areas exposure to very high levels of radiation can cause nausea and vomiting, cataracts, sterility, hair loss and in some cases death , . 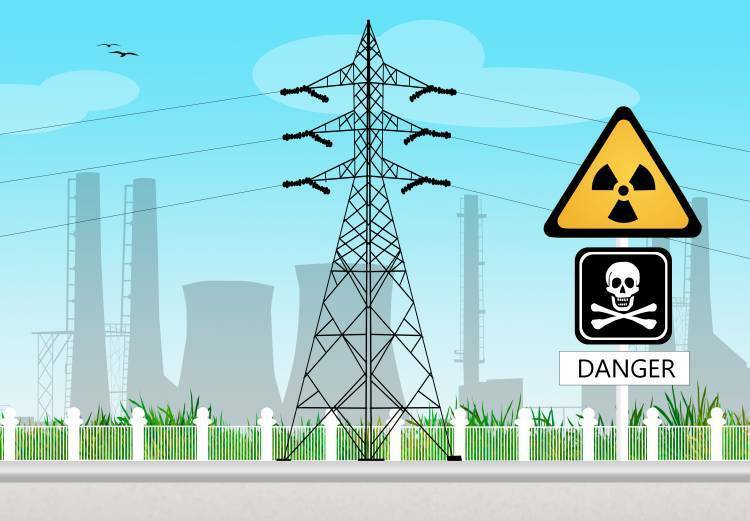 High levels of radioactivity due to an accident can be maintained in an area for years. Radioisotopes released in nuclear accidents pollute the air and end up in vegetables and drinking water and from there to the animals, milk and humans. Nuclear accidents releas into the atmosphere radioactive elements with short half-times, which emitt more radiation in a shorter period and affect more the cells of specific organs (eg radioactive iodine-131, cesium-137, strontium-90, etc.) . However, estimates of scientists about the effects on health from various nuclear accidents are quite different, with the most important example beeing the nuclear accident at Chernobyl in 1986 . Some scientists argue that the accident caused a large increase in cancers (especially thyroid leukemias), genetic deformities and early childhood mortality and considers the associated deaths approaching one million, a figure that will continually grow . On the other hand, the Scientific Committee of the United Nations on the Effects of Atomic Energy (UNSCEAR) in a recent review scientific data claims that, apart from the 57 deaths that resulted from the initial explosion, the radioactive leak lead to only 4000 cases of thyroid cancer . Note that the lack of iodine in the diet of the inhabitants of these areas has been an additional factor in development of thyroid cancer. Also, in evacuation areas, unemployment and financial problems that followed the accident affected psychologically large population serving, which itself had a negative health effects. How large is nuclear accident of Fukushima compared to that of Chernobyl? In the scale of risk of nuclear accidents, the accident at Chernobyl, which was considered the biggest so far, was Grade 7. The accident in Fukushima and initially characterized degree 4, was upgraded to grade 7 (communication of the International Agency for Nuclear Energy on April 12, 2011 ). In Chernobyl an explosion had occurred and the smoke from the fire was carrying large amounts of radioactive material for about 10 days across Europe, significantly contaminating water and food. In Fukushimathe air pollution is gradual which can exceed a total that of Chernobyl, since there are far more nuclear fuel (1760 tonnes compared with only 180) and the radioactive leak can continue for decades . The major leak of radioactivity at present is to the sea polluting fish and seaweed. There is a risk for remote countries because of radiation leakage from nuclear reactors in Japan? For remote countries the problem is not so much the increase in radioactivity in the atmosphere, but the increased consumption of radioactive elements through the food chain. The French Committee for Research and Information on Radioactivity (CRIIRAD), which measures the levels of radioactive elements in a report says that certain foods is logical to avoid especially by children and pregnant women, as that can not be predicted how long the radioactive contamination of the food chain will continue. Avoid consumption of vegetables, meat, fish and milk from the affected radiation areas. The largest concentrations of radioisotopes present in leafy vegetables (eg lettuce, spinach, cabbage, etc. ), except those produced in greenhouses. Wash vegetables before consumption (although the French Committee for Research and Information on Radioactivity claims that this practice is not very effective). Also radioisotopes are concentrated particularly in the milk, cream and cheese from grazing animals out and feed on grasses (most burdened sheep). Use water filter (eg coal) for the water you drink. Taking potassium iodide is only recommended before or just after exposure to high levels of radioactivity. Iodine only protects the thyroid, preventing the absorption of radioactive iodine. Do not start taking iodine just in case, because this can also have negative effects on health. Be sure to cover the daily needs of iodine through food (natural sources of iodine: seafood, cheese, etc.). For someone who has a lack of iodine in the diet it may make sense taking seaweed supplements (eg Kelp) which contain iodine but at lower dosages. Possible protection might offer vitamin supplements and minerals that contain amounts of non-radioactive forms of cesium and strontium. Other supplements recommended are NAC (N-Acetyl-Cysteine), chlorela, spirulina, pectin etc. Stay indoors with windows closed or using a special mask to filter radioactive particles if you live near the accident area. As explained above, the effects on human health from every form of radiation depend on many factors such as type of radiation, the active radiation dose, the effective dose rate, the exposure time, whether the exposure is internal or external but also the time decay of each radioactive element. Since man was always exposed to ionizing radiation from the natural radioactive environment , the human organism has developed some adaptation mechanisms to adapt. As mentioned by the Scientific Committee of the United Nations for the Effects of Atomic Radiation (UNSCEAR) "The radiation damage will usually be repaired by these normal cell repair processes". Some scientists claim that damage to the cells caused by ionizing radiation, when it occures in a controlled fashion, can enhance the body, just as it happens during physical exercise. It is no coincidence that exposure to certain types of radioactivity, was deliberately used for centuries for therapeutic purposes. Radiation Hormesis = a little radiation is good! Causes controlled DNA damage that stimulates the immune system and repair mechanisms of genetic material . Regenerates cells, activates important enzymes aiding in the regulation of stress and suppresses cancer, hypertension and diabetes . Is an exercise for the immune system. "It's like doing push ups" says nuclear engineering professor at the University of Massachusetts Gilbert Brown . It dramatically improves the survival rates of animals exposed to high levels of radiation . Similarly, residents of naturally radioactive areas have half chromosomal aberrations than others when they receive a high radiation dose . It is essential for the normal functioning of the body, such as vitamins and minerals, according to researcher Dr. Luckey . He believes that modern man with the little contact with the sun and nature suffers from lack of radioactivity. It was widespread in the early 20th century in the medical community. The American Medical Association had promoted the use of radioactive radium in various treatments. Radium water was sold as elixir for health . It is used to treat various symptoms by placing radioactive rocks in various parts of the body (also sold online !). It is used as an alternative treatment for cancer, when applied to the whole body. It has an enhancing effect to the body , in contrast to the higher intensity ionizing radiation used topically in conventional radiotherapy which have many side effects. It is used to treat arthritis , asthma  and a multitude of other diseases  in dozens radon spas and radon thermal springs worldwide. Radioactivity levels in the healing radon spas can be very elevated - eg in Montana, USA It is 400 times greater than the recommended limit by the US Environmental Protection Agency (EPA) ! Does only ionizing radiation affect health? The usual separation of electromagnetic radiation and non-ionizing, creates the false impression that the only biologically harmful process is ionization and that non-ionizing electromagnetic radiation from power supply, mobile phone antennas, cordless phones, WiFi, etc. is not harmful. However, unlike radioactive ionizing radiations which has always existed in the evolution of mankind, non-ionizing radiation is mostly artificial and recently introduced on the environment, and according to scientists even very low levels of exposure to non-ionizing radiation may in the long term cause significant health effects through several biological mechanisms other than ionization. Read more about the effects of non-ionizing radiation..
15. Henshaw DL, Ross AN, Fews AP, Preece AW., Enhanced deposition of radon daughter nuclei in the vicinity of power frequency electromagnetic fields., Physics Laboratory, University of Bristol, UK, Int J Radiat Biol. 1996 Jan; 69 (1): 25-38.